When a fire, flood, or storm wreaks havoc on your home, the damage is not always limited to just a cleanup job. 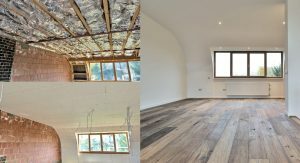 Your residence may require replacement of drywall, windows, or roofing, and could even include larger scale projects to repair or replace any weakened structure of your home. Instead of just tending to a mess made, more often the process of returning to normal life progresses from assessment to restoration to reconstruction. It’s a big undertaking, and one that can mean sourcing, contacting, and coordinating a variety of different professionals, all of with whom you’ve likely never worked with. 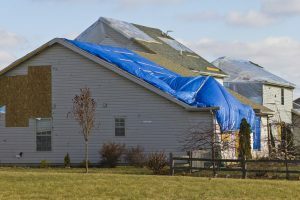 It’s no surprise many homeowners become overwhelmed by the process, which only make matters worse when already having to shoulder the burden of a devastating event to their home. Family, friends, and neighbors will be by your side to support you through the stress of getting life back on track, but skilled professionals are standing by to service your property as needed, too. But where do you start? For example, let’s say a pipe in the second floor bathroom bursts, and now the kitchen directly beneath it has a much unwanted waterfall. After the water has been turned off to prevent further damage, it’s time to start contacting service providers. You’ll need a plumber to respond to the bathroom pipes as well as water remediation specialist to remove any standing water and dry the area between the kitchen ceiling and bathroom floor, but not until after the plumbing problem is completely addressed. If water had been pooling for awhile, mold becomes an issue, that leads to contacting a mold removal specialist. And once everything is finally restored to working order, it’s time to bring in a builder to make your bathroom and kitchen look like it once did–repairing drywall, flooring, showers or cabinets that may have been damaged in the process. Overwhelmed yet? It’s no surprise given the number of moving parts at play. What Are the Benefits for Using the Same Contractor for Restoration and Reconstruction? They know people. Instead of having to rely on Google or recommendations from random people on social media, contractors have trusted, skilled individuals they’ve come to rely upon and thus work well with. Contractors can pull together a response team in a fraction of the team (and possibly even the cost) than you could do on your own. There’s no need to play middle man. Contractors play the go-between, keeping everyone involved current on what they need to know and when. It’s a one-stop shop. Instead of having to cut payments to a whole host of people, a contractor will provide you with one quote and one final cost to be paid in one shot. It’s then up to the contractors to pay the people sourced for the project. Possible discounts. Work with the right contractor, and you may be able to save money versus working directly with each individual service provider. That’s because contractors have good negotiations skills, and by coordinating the entire project including each person’s schedule, may be able to shave billable hours off of the bottom line. They understand the full scope of the project. When you have one contractor to do the restoration and another to do the reconstruction, an instant gap in communication exists. While it may not be a big deal, it could make the project less efficient, and thus more costly. Having one person who sees the project through from beginning to end give peace of mind that know detail will go overlooked. Our critical rapid response begins with immediate dispatch and water, fire, or storm damage containment. On-site response teams are highly trained in coordinating all aspects of restoration and mitigation, as well as preparing for any needed repairs. The DRS process always focuses on giving you a turnkey solution with rapid response, minimal loss, and less workflow interruption. DRS provides commercial remodeling services for all your post-disaster needs. DRS Remodeling is a certified member of NARI, National Association of the Remodeling Industry. Visit our DRS Remodeling website for more information on our vanilla box rooms to total turnkey solutions. 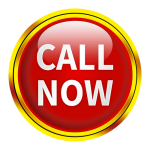 Call DRS today at 877-280-7961 to get immediate help with all your emergency response and cleanup needs. Our team of experienced disaster restoration specialists are on call 24/7 to assist you.